Location: Vedado centre, at the see shore overlooking Havana Bay. 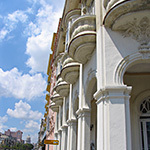 The Nacional is one of the most classical and representative hotel in Havana. 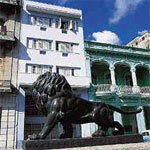 Cuba's most emblematic hotel. 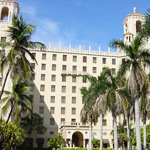 Winston Churchill and Al Capone stayed here. Secure your place in history, stay in Nacional. 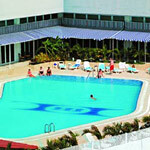 Hotel offer Cabaret night show, patio bar and two swimming pools. Location: Havana centre, in the heart of the Vedado district. In the heart of the hustle and bustle of Havana. Cinemas, nightlife are nearby and always present crowds on the sidewwlaks. Most rooms offer stunning views of the city, offer nice swimming pool. Location: in Vedado center, at shore along Malecon, nightlife spot. Luxury hotel featuring splendid restaurants, boutiques and business center. Most rooms have seaviews and Wi Fi. Hotel offer large swimming pool. Night show and Disco club in famous 'Habana Cafe' at the hotel. Across the street is well-known 'Jazz Cafe'. Location: in Vedado center at shore along the Malecon, nightlife spot. The 1950's a very much alive here. Former mafia boss Meyer Lansky used to run a casino here, you can visit his suite. At night cabaret show, large swimming pool, panoramic view at the Havana Bay. Presidente was built between years 1925. Hotel is completely rebuilt, keeping all the flavor from its recent history, enjoy lobby museum, and sea-water large swimming pool. 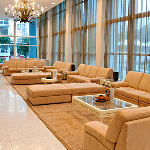 Location: Havana centre, in the heart of the famous Vedado. 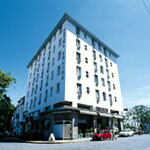 Small, quiet hotel, centrally located in the Vedado district. Right in the hustle and bustle of this exciting part of Havana. Cinemas, nightlife nearby. Swimming pool is a pleasant surprise. Location city centre, in the heart of the Vedado. Chic Famous Hotel Capri reopen after the renovation in 2014. Modern 19 floor, built in 1958 by a New York mobster. 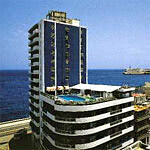 The most popular for American gangsters, has rooftop swimming pool and restaurant, with panoramic view on Havana Bay. 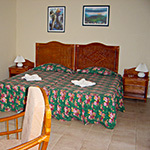 All rooms Air Conditioned with Satellite TV and WiFi Internet in your room. 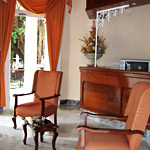 Location: boutique hotel right on Malecon, Havana waterfront. Chic Avantgarde design, decorated with nature and sea motifs. Spacious rooms with panoramic view at the bay. Junior Suites are located on the last floor, distinctiveness provided by the exclusivity of their private terraces. 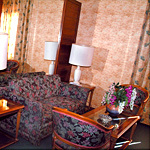 All rooms air conditioned with satellite TV, WiFi Internet. Location: Nuevo Vedado, next to the Zoo & Rancho Boyeros Ave.
Modern hotel offers 84 comfortably furnished rooms, 6 of them suitable for disabled people and all have with air-conditioned, private bathroom, satellite TV, safe and telephone. Restaurant and a snack bar, decorated with beautiful ceramic's murals. Location: Havana Vedado center, on the edge of Old Havana. Nicely located just a few steps from Havana's Malecon and Havana Bay seaside promenade, In the evening, you can enjoy a music show on roof patio. Economical accommodation in city center. Location: Vedado center, close to Ave Rancho Boyeros. Easy access to Havana Centre, Plaza de la Revolucion, memorial Jose Marti and the National Theatre. 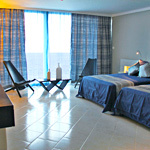 Modern hotel offers 326 comfortably furnished rooms, all with air-conditioned, private bathroom, satellite TV, and phone. 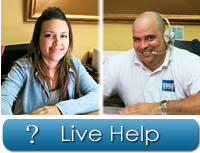 Economical accommodation in Havana. Location: Havana-Vedado center, near the 23rd Avenue. An intimate service oriented hotel surrounded by beautiful houses and lots of green, situated in the heart of Vedado, modern part of Havana. 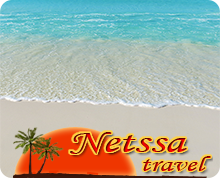 The hotel offers 30 air-conditioned rooms, restaurant & bars. In the heart of the Vedado district, right in the hustle and bustle of this exciting part of the city. Cinemas nightlife nearby, has swimming pool. Location: privileged location at shore, along the Malecon. Just few minutes walk to Old Havana and Capitolio. Hotel offer an excellent view to the sea and the Castillo del Morro. All of its comfortable rooms have terraces with a view to the sea or Old Havana. Roof pool, very popular spot, Disco, Buffet breakfast. Location: Vedado few meters from La Rampa, entertainment hub. 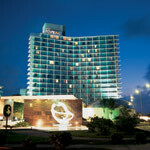 Plenty of activities for visitors, Saint John's is the hotel of choice in the Cuban capital. On the roof is a small, intimate swimming pool. The Saint John's offer tranquillity in the very heart of Havana. Inexpensive accommodation in city center. 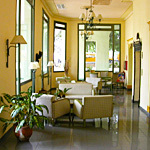 Charminh, small, inexpensive and elegant Neo-Classic Hote, with quality interiors and excellent location on Prado. Good choice. Location: front of the University, Vedado heart of Havana's downtown. 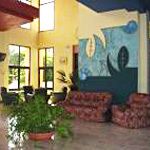 Budget students hotel, good location in the Vedado cultural center, near University of Havana, and many tourist attractions. Hotel has nice front street patio and bar.